Leadership is sometimes described as a set of behaviors. Therefore, leadership characteristics can be learned even at a junior level. You don't have to wait until you are a manager and leading a team before you pick up these traits. They will serve you well as you make your way to the top. The best leaders are those who practice what they preach. Ever seen a leader who wants everyone to come in early and does not do so himself/herself? How did that make you feel? Practice this characteristic when you are given small tasks. If you want your team to work hard you must first work hard yourself. Good leaders focus on the solution and never the problem. They do not let what has happened bother them because they know; they control the future by focusing on the present. This characteristic can be easily practiced at the junior level. When problem occurs, you don't have to be the leader but you can help the team focus on the solution. When things go wrong, leaders do not point fingers. They take first person responsibility for what has happened. They know they are ultimately responsible for the group’s result. If you begin to take first person responsibility, this leadership characteristic would develop into a habit. This habit would follow you as you grow into more important positions. This leadership characteristic is perhaps tough to emulate especially when you are all trying to shine in your work. There is a tendency to horde all the credit for yourself. That’s not to say you should not take credit for work that is genuinely completed by yourself. But on projects that are team oriented, share the glory. People do not follow leaders who are selfish. Leaders have high energy levels. They do not only communicate well but they are able to transfer their enthusiasm to the team. Motivating the team to perform better than their perceived capability. Such leadership characteristics can be practiced especially when you receive a task that you may not feel entirely interested in. How do you do that? Try researching deeper into the task. Understand it. Understand your role in the bigger scheme of things. Understand your team’s role in achieving goals. When you get highly involved, you have a higher chance of being more enthusiastic about it. Then you can begin to get others interested. This is another good leadership characteristic that you can develop from a junior level. Be a keen observer of human behavior. When you start to observe people, you learn about people’s strengths and weaknesses. What they are innately good at and what they aren’t. Once you develop this skill, you will be able to pick out the best task for the right people with the correct skills. Leaders understand team dynamics in such a way that they know the ‘hot buttons’ to push in order to get the best out of their people. It is said that communication is an art. Practice this art and be a master in it. Good leaders understand that communication is a two way street. To motivate you must be able to listen to the spoken and unspoken concerns. This leadership characteristic builds trust and in the long run benefits the team as its members understand that there are no hidden agenda. There are many leadership characteristics that you can learn and emulate even at a junior level. However, in my personal experience these leadership characteristics and skills are the easiest to practice and develop into a habit. The opportunities to practice these leadership characteristics are abundant. 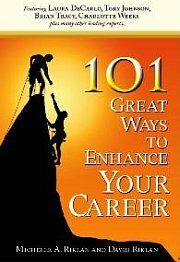 You should start on some of these as you grow in your career. What Are The Important Leadership Characteristics To Learn? Learn to develop leadership characteristics to succeed in your career.